Coaxial cable has an inner copper core surrounded by insulating material, and the insulating material is surrounded by a braided wire, that has an outside rubber insulating layer. The center wire and the braided metal shield share a common axis or centerline. Coaxial Cables shield data transmissions from electro-magnetic interference (EMI). Lights, cable televisions, cordless telephones, microwave ovens, refrigerators, anything where the electrical current is being turned on or off, can generate magnetic fields that cause electrical current along the wire. This type of interference can disrupt transmissions on a network. The most popular connectors for coaxial cables used to be BNC connectors. Vampire connections, sometimes called vampire taps, that pierced the cable, were also popular in early bus topology networks. Coaxial cable used today is mostly used for connecting to an Internet Service Provider (ISP) via cable modem. The same type of cable is used to connect televisions to cable boxes and satellite receivers. An F-type connector that screws on is used to connect the cable. Cable modems connect using RG-6 type cables, predominately used in cable television. Coax cables have an RG rating. The U.S. military developed the ratings during WWII to provide a quick reference for the different types. The most important measure of coax cabling is its Ohm rating. The Ohm rating is the characteristic impedance or electrical resistance of the cable. If you have a situation where you need to split a single coaxial cable, coaxial splitters can be used to connect two cables together using a barrel connector. This allows you to add some distance to a connection. The most common type of cabling used in networks is twisted pair, twisted pairs of cables, bundled together. Networks use two types of twisted pair cabling, shielded twisted pair and unshielded twisted pair. The twists reduce interference, which is called crosstalk. The more twists, the better. Shielded twisted pair, STP, consists of twisted pairs of wires surrounded by shielding. This protects the wires from EMI. Shielded twisted pair is used in areas of excessive electronic noise. The most common type is the IBM Type 1 cable used in Token Ring network topology. Unshielded twisted pair, UTP, is the most common type of network cabling used today. UTP consists of twisted pairs of wires surrounded by a plastic jacket. This type of jacket does not provide protection against EMI, so you must be careful when installing to avoid interference. Telephone systems use STP, so they sometimes present a problem when installing alongside cable. However, there are installation standards to help those who work with UTP. Telephones use RJ-11 connectors with two pairs of wires. Networks use RJ-45 connectors with four-pairs of wires. UTP cabling has something called category, CAT, ratings to help network installers get the right cable for the right network technology. CAT ratings are officially rated in megahertz (MHz), indicating the highest frequency the cable can handle. The maximum amount of data that goes through cable per second is called bandwidth. CAT 5e cable can handle a throughput of up to 1000 Mbps, even though it is rated to handle a bandwidth of only up to 100 MHz. Most new cabling installations use CAT 5e, even though a number are using the new CAT 6. CAT 6a is the latest update, doubling the bandwidth of CAT 6 to 550 MHz to accomodate 10-Gbps speeds up to 100 meters. Fiber-optic cable transmits light rather than electricity. Fiber-optic cabling will operate for long distances. Fiber-optic cabling has many different diameters of core and cladding. The core is the glass fiber itself. The cladding is the part that makes the light reflect down the fiber. Fiber-optic cables require pairs of cables, and are usually clumped together like a lamp cord. There are single-mode and multimode fiber-optic cables. Light can be sent down as regular light or as laser light. Using laser light and single-mode fiber-optic enables a network to achieve very high transfer rates over long distances. Fiber-optic cables have over one hundred different connector types. The most common are ST, SC, and LC. LC is unique in that it is a duplex connector and will accept two fiber cables. Serial cabling, RS-232, is the recommended standard that all serial cabling is based on. The most common is the 9-pin, male D-subminiature connector. Serial ports have very slow data rates...about 56,000 bps. Parallel connections use a 25-pin female DB type connector and run to around 2 Mbps. The IEEE 1284 committee sets the standards for parallel communications. Parallel is also limited to point-to-point communications. FireWire is based on the IEEE 1394 standard and is the next best thing to fiber-optic or UTP. FireWire is fast and runs up to 800 mbps. FireWire is point-to-point and has a connector like the one pictured below. Microsoft has removed the ability to network via FireWire in Windows Vista. 1. Which topology requires termination? Bus topology. 2. Star-bus is an example of what type of topology? Star-bus in an example of a Hybrid topology. 3. What topology is the most fault tolerant? Star topology. 4. What is a topology? The interconnectivity of network components. 5. 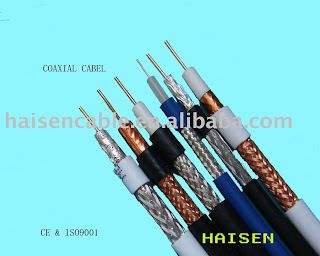 Coaxial cablesOhm rating, a relative measure of the resistance on the cable. 6. Which type of network topology is mostly seen in wireless networks? Mesh topology. 7. What is the most common type of UTP used in new cable installations? CAT 5e, though CAT 6 is becoming more popular.